QuEST Direct Professional Services was set up by Sarah Rogers, in May 2014, to further the work done in primary schools by its sister company Early Years Educational Services (EYES). QuEST was started to meet the continuing need for high quality professional development for primary schools and to work in partnership with educational professionals, Government organisations and educational suppliers to offer interesting, relevant and best practice courses to support primary school professionals. EYES, set up in 2008, has been incredibly successful in supporting early years departments in schools, building up relationships with school communities to offer bespoke support that really meets their ongoing needs. It was very pleasing to be asked, by many schools, to extend this successful support further up the primary age range. 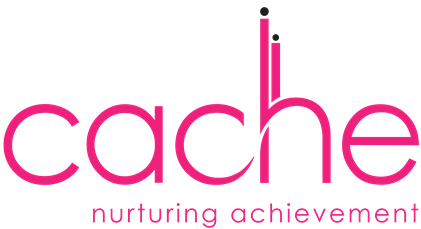 QuEST offers CACHE Level 2 Certificate in Supporting Teaching and Learning in Schools for learners who are new to this field, and CACHE Level 3 Diploma in Specialist Support for Teaching and Learning in Schools for learners who have experience as a teaching assistant and want to gain a UK qualification. QuEST also offers short courses on many subject areas. We hold morning and afternoon courses in our Tameem House teaching rooms, offer weekend educational conferences giving staff the chance to network while enjoying a choice of courses and work in partnership with individual schools delivering a series of training courses to suit their needs. We enjoy travelling to schools all over the UAE to deliver bespoke courses, and travel internationally with our tutors delivering courses in many countries including Oman, India, Sri Lanka, Turkey, Nigeria and Lebanon. We are a team of highly skilled and qualified educational professionals with years of experience in the Primary and Early Years fields. With team members who have worked all over the globe, including the UK and here in the UAE, training with us ensures for knowledgeable, supportive and enjoyable learning. QuEST works with school leadership as their school improvement partner, promoting ongoing changes to meet quality improvement needs with clear vision, tools, incentives, action plans and resources to support successful, effective change. What makes us different/Why choose us? We deliver UK accredited qualifications working with our UK Awarding Body, Council for Award in Childcare, Health and Education (CACHE), to offer qualifications for Teaching Assistants, and with Highfield International to offer First Aid courses, to ensure recognized courses of the highest international standards. Partnership working and sharing best practice is important to us. We work with Government organisations, such as KHDA, to keep abreast of the ever-changing educational field in the UAE. QuEST works with many educational suppliers to provide schools with high quality educational products and services that enhance the learning environments and experiences that they can offer. We are proud of our partnerships and work closely to provide the best options for schools. QuEST are accredited by Oxford University Press (OUP) as Numicon and Floppy Phonics trainers. We also provide training in partnership with Scholastic, Gratnells and EduTech. Interested in training with us? Click on the links below to search for courses or other services. If you don’t find what you are looking for or you have any other questions, get in contact with us today.